Have you ever found yourself speeding on the highway to pass an 18-wheeler truck? Perhaps you slow down or switch lanes to keep yourself at a safe distance away from them. Whatever the case, driving around these large vehicles can be nerve-racking for some, as a truck driver’s visibility is somewhat limited due to the size of the vehicle they operate. Even though most truck drivers have gone through extensive training on how to operate and handle these massive 18-wheelers, our fears are nonetheless present. What are some common causes for 18-wheeler trucks to be involved in an accident? It seems that reasons behind accidents involving larger trucks are not much unlike the reasons for regular auto accidents! Drunk/intoxicated drivers: DUI records for truck drivers are just the same as they are for regular, automobile drivers. No matter what, no one should drive while under the influence of drugs or alcohol, but it happens all of the time. 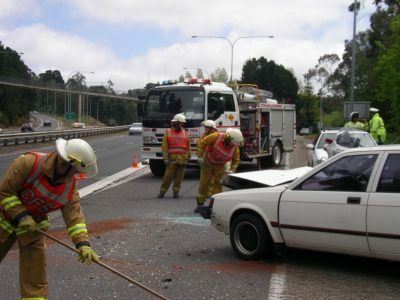 Sometimes, these accidents occur because of medications, and not from illegal drugs or alcohol. While certain medications warn people of their effects when it comes to driving or operating devices, they aren’t practical to follow when trying to reach delivery deadlines, etc. Therefore, there have been a number of 18-wheeler accidents caused by truck drivers taking their medications. Overall, irresponsible driving: While most of us are at fault for something like this and cannot excuse our behavior, it can be even worse for truck drivers. While we might text and drive to let people know our ETA or a change in plans, truck drivers are on the road for longer periods of time. This might cause them to become a little careless when it comes to paying attention to the road. Eating is also another culprit. Some truck drivers don’t have the luxury of sitting down for a long meal, especially when they have deadlines they need to meet. In effect, they might be eating on the road more frequently, which distracts from paying attention to surrounding traffic or road laws.